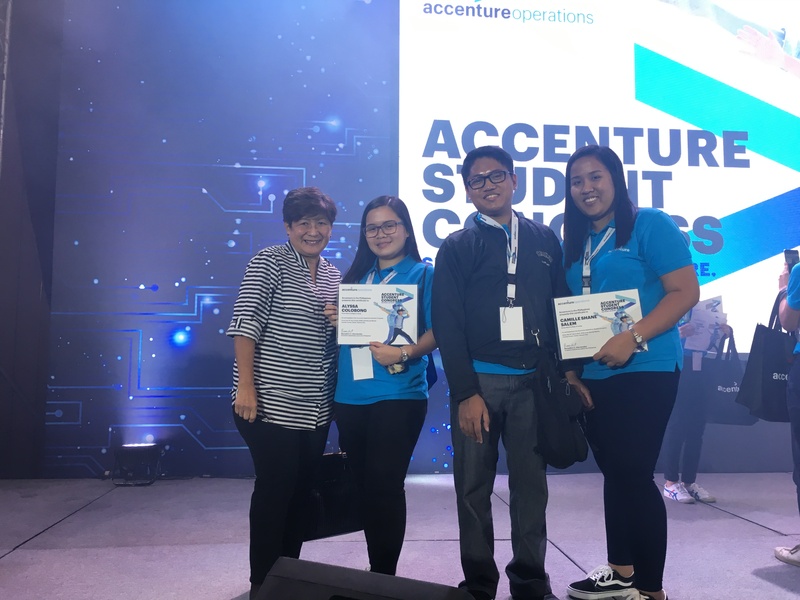 DWCL salutes 3 BSA students, Alyssa D. Colobong, Lorence Jude Angelo Almazan, and Camille Shane Salem who made it to the ACCENTURE 2018 STUDENT Congress, a gathering of the top ranking students all over the country on April 13, 2018 at the Novotel Hotel in Quezon City. Joining the summit means having to pass a pen and paper test, a test on computer skill and literacy and an interview. Accenture, a leading global management and consulting and professional services firm where a good number of our graduates are presently employed, showcased in this summit the firm’s operations, next generation careers, the skill sets needed in the future. Aside from the package of all-expense paid event enjoyed by the students and the official school representative, the VP for External Affairs, the rare opportunity to be named among the top schools who qualified is more than a prize.